Following the teams loss to the Sacramento Kings, Nuggets coach Michael Malone talked about why Jusuf Nurkic did not play Tuesday night. Nurkic was listed as active prior to the game Tuesday; however, did not see any time over the course of the contest. 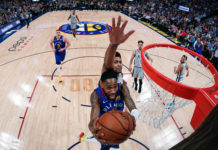 Nurkic matched up best against the Kings’ DeMarcus Cousins earlier in the week, but was not available, which resulted in 39 points for Boogie in the the Kings 114-110 victory over the Nuggets. 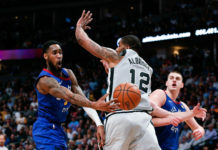 While no clarification was given on the injury, it is known that Nurkic has dealt with lingering issues in his knee all season long. 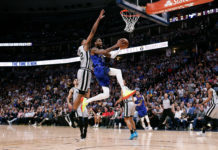 Hopefully, the day off is just a precaution, taken in order to get the big man healthy and fresh for the remainder of the season, but it is worrisome. With Nurkic out, the Nuggs will rely on Nikola Jokic and Joffrey Lauvernge as the team’s primary big men in the trenches. 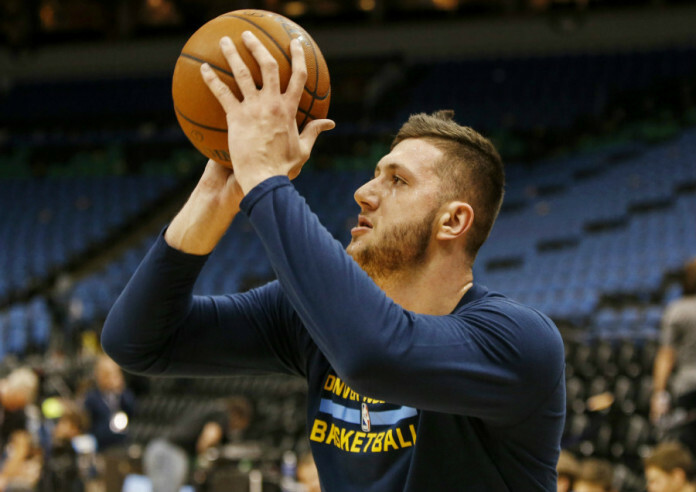 If it is just a minor strain, though, Nurkic should be back before long. Nurkic is averaging 6.2 points and 4.9 rebounds per game in his sophomore season in the NBA.